My grocery budget for our family of 4 is $330 each month. 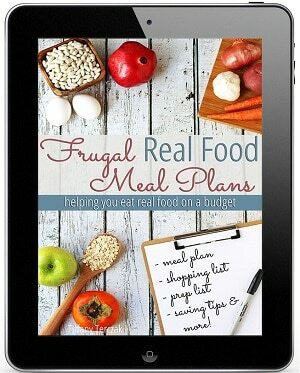 This real food budget includes food, toiletries, household items as well as health & beauty products. It also includes EVERY meal, not just dinner. This post is our monthly budget accountability session, where we share what we spent on food for June 2015. You can read previous Counting Crumbs reports HERE. If there was ever a reason to sit down and take a look at the month ahead BEFORE you went shopping, today’s post is it. It just goes to show that just a few minutes – no more than 10 – can make all the difference in the world in your budget. And just in case you think I’m a broken record, I’m not talking about meal planning! We went over in April, so we kept May lean and slid in with $80 to spare. My mentality going into June was free-reign… to both stock up and enjoy a few fun foods while the funds were available. But I had forgotten something very important: some of our funds were already committed to the weekly CSA box. 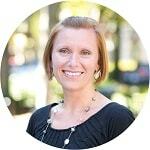 Allocating money for future weekly expenses is not normal for me (not in the grocery budget anyway), so it takes purposeful planning and forethought to stay within a lesser budget, so to speak, in order to have those funds available later. But I didn’t realize this until AFTER I had already spent a good chunk of the budget. Ah, I’m ruining the story. I’ll let the pictures and shopping trips explain the rest, but let’s say that I’ve definitely learned my lesson and I’m already making better plans for July! 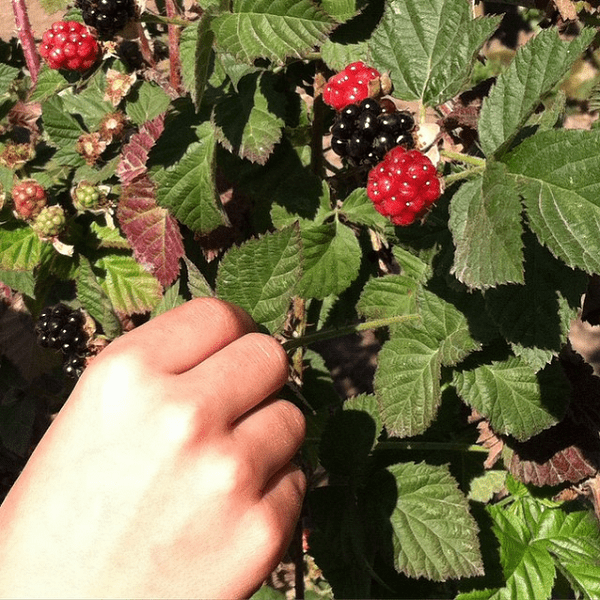 I took advantage of the budget reset by taking the kids berry picking again with some good friends. The timing was perfect, as we were able to take advantage of the very short olallieberry season. We picked strawberries too, and we still have plenty put up for future pies and snacking. After a lean month in May, the inevitable restocking was set for June. A good portion of this trip was to restock the pantry – flour, peanut buter, coffee, oats, bacon and tomatoes. The butter, chicken and mozzarella are monthly staples. I bought ribs for Father’s Day and the antipasto meats were for a special trip to Jade Cove (where having an antipasto tray for lunch is part of the fun). I added up the numbers and realized that as of the second day in the month, I had spent most of our budget. There was just $30 left for the next four weeks! YIKES! Of course the damage was already done and I couldn’t go backwards in time, so I told Mr. Crumbs my error in thinking/planning. While neither of us were thrilled, we were at least on the same page. 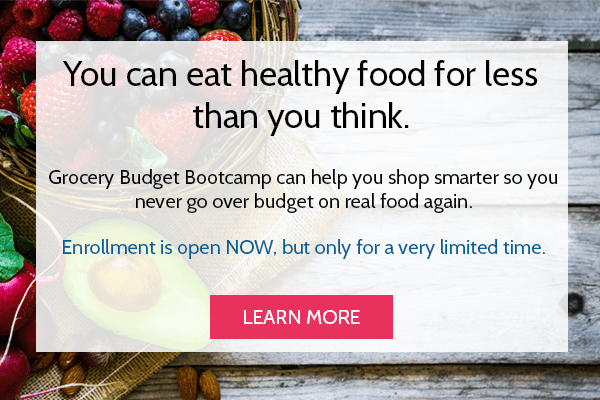 This made the rest of the month SO much easier, because anytime we needed something from the store, we both tried to think of ways to make it work without spending more of the grocery budget. Looking back at my purchases, I can see where I could have curbed my spending a bit. I usually buy contact solution when it’s on sale (saving $5) and buy just 2 pounds of bacon instead of 4 (saving $6). I’ve also been better in the past about shopping on Amazon and Tropical Traditions FIRST, using gift certificates/gift cards that I’ve earned. I could have done that for the oats and coffee for sure, and maybe even the peanut butter. Part of the fun antipasto lunch we had planned for Jade Cove includes fun cheeses, so Mr. Crumbs was so kind to pick out these four for me while he was out with the kids. While he picked up cheese, he picked up crackers too (still for the fun lunch). A slight reprieve in the budget, we had pre-paid for this box in May! This didn’t solve the entire budget issue, but it certainly did help! I made a super yummy pasta dish with the chard (recipe coming soon! ), lots of salads and snacked on the cucumbers. I used the ginger in a stir-fry and made pan-seared broccoli. 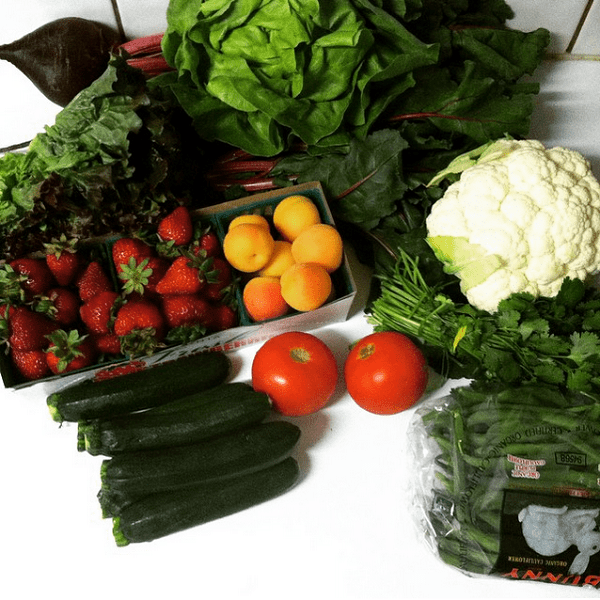 PS – I’m sharing what comes in our CSA box every week as it comes in via Instagram. Be sure to follow me to see what surprises the box holds and our plans to use it up! Eggs are a monthly staple and pepperoni is for homemade pizza on Friday nights. 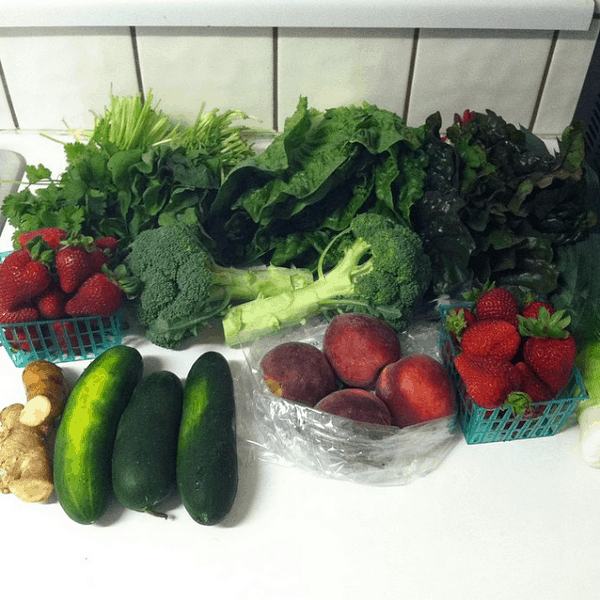 I mentioned last month that my parents and grandparents gifted us the CSA membership for the rest of the year, but I didn’t think it would be very fair to get $21 worth of produce every month and stick to our regular $330 budget… because that would essentially be the equivalent of spending $435 each month instead. So we decided to decrease our actual spending and include the weekly cost of the CSA in our grocery budget tally. This would keep the total each month relatively the same as it is when it’s not CSA season, and better explain how we do the real food on a budget thing. We roasted the cauliflower and beets, blanched and froze the beet tops, ate salads and then made a huge stir-fry with what was left at the end of the week with the ginger from the week before. The CSA boxes provide the majority of our produce each month, but we needed a few more inexpensive staples if we didn’t want to exhaust everything in the fridge. We normally buy these items at Costco, and would have saved more per ounce, but we also would have walked out with a higher total in the end. We opted for Savemart and bought just what we thought we needed for the month. A last minute and quick stop for lettuce. We brought dinner to my dad’s house and we thought we had enough lettuce… but we didn’t! Mr. Crumbs made quick run to the store for a head of romaine. Pan-seared broccoli again, salads and I blanched all the kale and froze for future meals. Made carrot top pesto with the tops, roasted the carrots whole and made crash hot potatoes. The bok choy went into the stir-fry I mentioned above, we added the garlic to the pantry and The Boy demolished 3/4 of the watermelon at a free concert in Santa Cruz. True story. 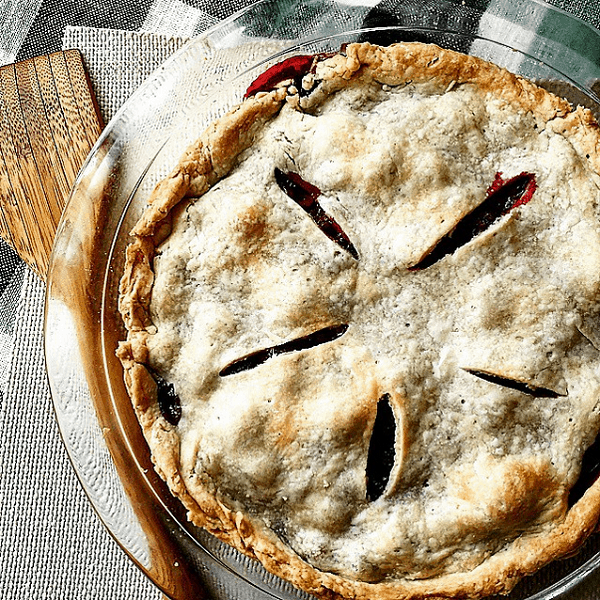 Apples are one fruit we always have in the house. They’re great for digestion, and they’re relatively inexpensive year-round. We knew we were at, or over budget at this point, but it was a joint decision to buy them. This purchase was all me. We were one week away from the month being over and we needed eggs and baking powder in order to make everything else we had at home work. And I really, really, really wanted tea. I had already gone several nights without my nightly ritual, and I just couldn’t stand it any longer! We turned the cauliflower into faux risotto, used the peppers in Greek pasta salad, snacked on green beans, oranges and strawberries. We were at Costco for a business purchase, but nearly jumped for joy when we found the sundried tomatoes. These are Mr. Crumbs absolutely favorite in Greek dishes and we haven’t seen them for months. We picked some up, along with more apples and potatoes to replenish the pantry. Wow. We are WAY over budget. It’s totally my fault for not calculating correctly from the get-go, but I think the only reason we’re not MORE over budget is because Mr. Crumbs and I talked about it early on. If you’re struggling with keeping the budget under control, I can’t stress enough the importance of being on the same page as your spouse! 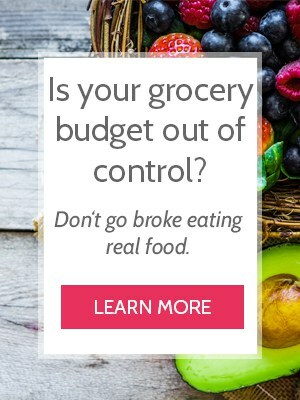 Did you track your grocery spending? How did you do for June? You might have already posted this, but what do you snack on? I have a family of 7 and am lucky to hit a $1000 budget. And we eat a mostly whole food diet (some food allergies). They had to have breakfast AND a whole piece of fruit before they could have anything else, and snack time wasn’t until 10am. Over time, this meant they would start eating all of breakfast (b/c there wasn’t anything else until 10) and they stopped eating the snack stuff because their belly would be full after the whole fruit. Or they wouldn’t even ask for the snack because they didn’t want to eat the fruit in the first place, lol, but they knew the rules. We’ve been doing this since my kids were 2 and 4 respectively, and they’re now 6 and 7. Once a week I’ll bake something special like breakfast cookies or granola, and they can have that for a snack after fruit, but as a whole, fruit is our snack! Something we do that I’m not sure would work for everyone is I leave my toddlers plates out after meals. Often after the meal they’ll be hungry and come back and finish their plates of food instead of getting a snack. We don’t buy snack foods because I noticed it did nothing for their hunger. I make balanced meals and by doing this I know they are getting a balanced diet. 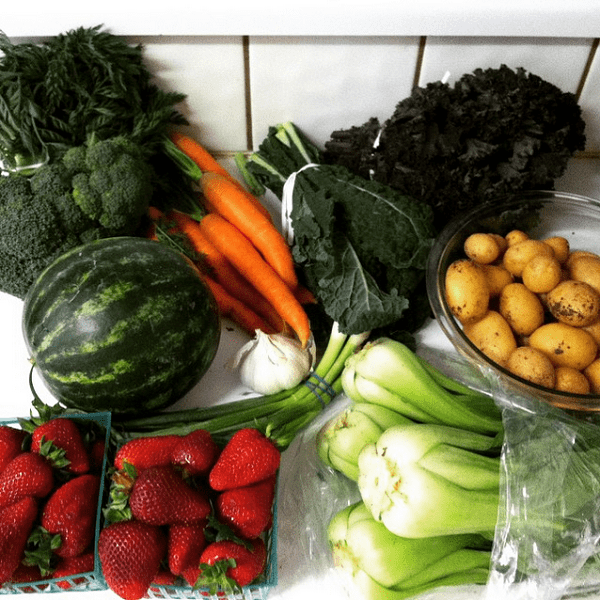 I’m green with envy every time you post a picture of your CSA box. We’ve had so much rain in Texas the past two months, my CSA has hardly anything in the ground, and what is looks terrible! I hate to even order. Sadly, the grocery store produce looks better…Thank goodness we’re trying to clear out the freezer this month (our purge month). My goal to day is the inventory of the frig, freezer, and pantry. By the way, is there anywhere you can get the inventory sheets you use for that? I saw them as an offer for signing up my email, but I’m already signed up. I’m looking forward to your pasta recipe using chard. We eat a lot of pasta due to the fact it is so inexpensive, but I’m feeling as though I am in kind of a rut. I always enjoy a new recipe. I couldn’t agree with you more – being on the same page as the spouse goes a long way in reaching our goals. So happy that you two are! Thanks for sharing and for the encouragement. June was crazy for us with travel, but it’s time to tighten up again. 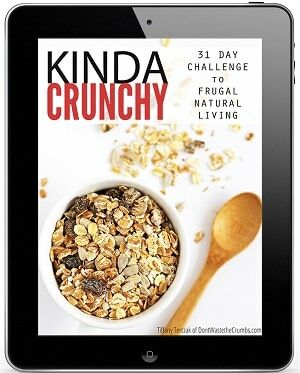 I’m starting a Summer Pantry Challenge right now so I am hoping that July will be much better. Wishing the same for you. You’re going to LOVE the recipe Heather. I’m hoping to have it very, very soon. 🙂 Travel makes this journey tough, but it’s exciting to hear that you’re home again and ready to jump in. I wish you the best of luck in your pantry challenge – it’s always exciting to see how far we can get with what we already have! We are working hard to keep our spending low. I can’t imagine spending as little as you spend. It think it is amazing. Keep up the good work. I have a question…do you use any of the Apps available with a smart phone? I can’t remember if you have said if you have a smart phone or not? If so, does the total spent include any future returns from those apps? Kroger is the only grocery store chain in my neck of the woods (beside walmart) and they have had for the past 2 weeks a buy 6 mega deal where when you buy 6 of any of the items you get them at next to nothing. I went this past weekend and I saved $40 with e-coupons, paper coupons and then an additional $63 with the mega sales and then saved $20 more with Ibotta, and checkout-51. my total bill was only $63 and some change with all the savings in the store then take away the $20 so I got out for $43 bucks! I was pleased and got everything for the week. I love reading your blog and seeing how you save/spend it has taught me a lot! Thanks for being so open and willing to share even the boo boo’s. I don’t Rebecca, because I’m still “new” to the smartphone era! 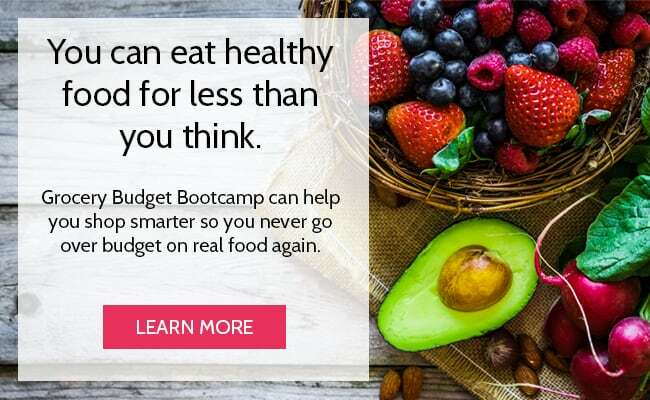 I should look into this though… I don’t have a Kroger affiliate in the area, but there might be a similar program in place with the other stores here! In our area Kroger has bought out all the other supermarkets so we are very limited. They do have some fantastic sales and I hate H.A.T.E. walmart with a passion. I do use Checkout 51, Ibotta and Snap Apps for groceries. I also use Receipt Hog which gives you coins for purchases made at all stores except resturant’s and gas receipts (if you buy something in the station that will count). If you have a smart phone you should check these Apps out. If you are a Walmart shopper there is also the walmart savings catcher. It will go out to the local stores near you and see if they find the products you purchased for a cheaper rate and if so they give you money back. On all these once you get to $20 you can request a check or a gift card or a paypal deposit. 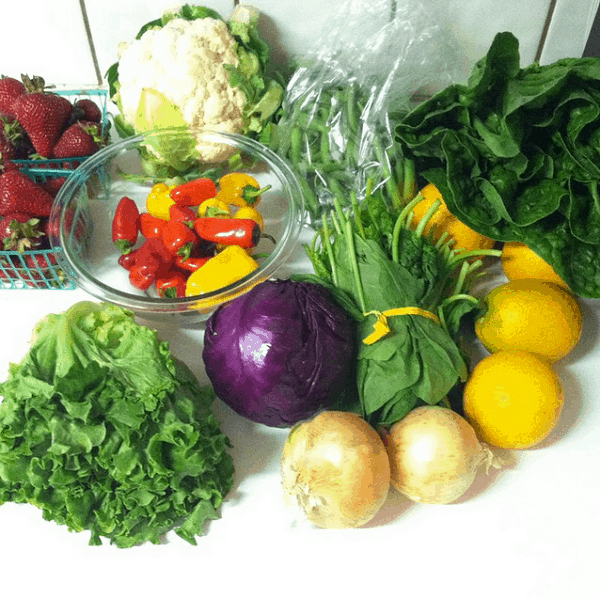 If it wasn’t gifted, would you continue the CSA box? Do you think you could find the produce on your own for comparable prices/cheaper? Absolutely yes! I do not think I could find comparable for cheaper – the strawberries alone are $4 per pint at the market. Plus we really like the fact that it forces us to get out of our comfort zone on veggies. And because we have so many veggies on hand, we’re eating more meatless meals… which means spending less money on meat. Our second chicken from June sat in the freezer until the 28th! How do you get gift cards for Amazon? Do you have a blog post about it?